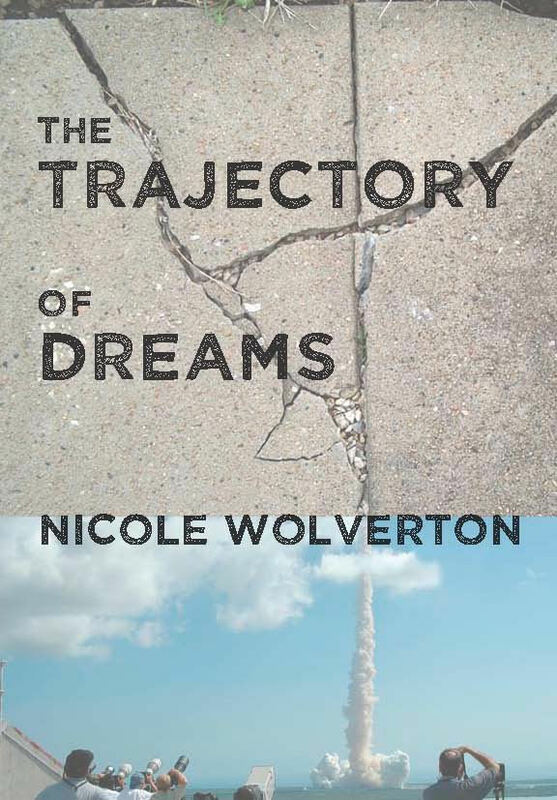 I enjoyed Nicole Wolverton’s novel The Trajectory of Dreams so much that I sought her out for an interview. You can read my book review here. Jaime Boler: Thank you, Nicole, for allowing me to ask you these questions. The Trajectory of Dreams is an utterly riveting debut. Nicole Wolverton: Thank you! It tickles me whenever I find out someone enjoyed the novel! JB: Describe what The Trajectory of Dreams is about in five words. NW: Crazy stalker-hero goes crazier. Honestly, I have trouble describing Trajectory in 50 words or 100 words! JB: How did you come up with the idea for your story? psychological testing that goes into weeding out astronauts with potential problems. In the book she also mentions the Lisa Nowak incident. Now, I have sort of an overactive imagination—and if you’re a writer, that’s a good thing. I have a tendency to think about all the crazy things my neighbors might be up to behind closed doors. Combine my weird imaginative tendencies with Packing for Mars, and my head eventually came up with a mentally ill woman with a troubling past who breaks into astronauts’ homes to weed out the chaff in the new shuttle program. NW: Absolutely. I’ve been making up stories and writing poetry (bad poetry, I should note) since I learned to read and write. When I was still in high school, I thought I’d be a journalist because it seemed a more likely scenario—I never really thought I could ever stick with something long enough for it to become a novel. I guess time and experience changes a lot of things! JB: On a personal note, I can remember wanting to be an astronaut until my class watched the Challenger disaster on television in 1986. Did you ever want to be an astronaut? What do you remember about the Challenger exploding? NW: The idea of space travel is inherently attractive. I think everyone wants to be a part of something special and unique, boldly go and all that. That said, I’m terrible at math and realized early on that it would stand in my way of ever becoming an astronaut. I guess I’ve always been a realist. The Challenger disaster was scary—I was around 13 years old at the time, and I have really vivid recollections of how blue the sky was, which is something that became part of Lela’s remembrance of a shuttle explosion, too. JB: Did you conduct any research for The Trajectory of Dreams, particularly on NASA and preparation for space flight and on mental illness? NW: I tend to be a little bit ridiculous about research because I want things to be as correct as possible. Yes, I absolutely took some liberties with the shuttle program and its history, but I sort of had to in order to make the story work. To research space travel and astronaut life, I went to talks by Mary Roach (she spoke about her book Packing for Mars and the research she did) and Dr. Guy Bluford, Jr., who is a retired astronaut from Philadelphia (and the first African-American in space). Then there was all the sleep science, which came from a variety of science journals and interviews with a sleep lab tech and a bunch of my friends who’ve been to a lab for sleep tests. Lela White’s mental disorder was also heavily researched—it’s never named in the novel since she was never officially diagnosed, but she has a very specific disorder. I talked to a psychologist, researched the disorder in journals, and read several accounts of the disorder by people who have it. By far the strangest research I did related to arson. It’s nearly impossible to find a firefighter willing to tell you how to set something on fire. Eventually, an old friend from high school agreed to give me some pointers, but I’m fairly certain I’m on some kind of arson watch list. JB: I read this on your website: “Nicole Wolverton fears many things, chief amongst them that something lurks in the dark. From ghosts to stalkers, her adult and young adult fiction plays on the mundane and not-so-mundane things that frighten us all.” I often read that many writers write what they know best. Is that true for you, as well? NW: I’m really happy to say that as far as I know I’ve never been a stalker, nor do I have a serious, undiagnosed mental disorder. It’s human nature, though, to be scared of the unknown—it’s the reason most religions exist. I’m not particularly religious, but I’m fascinated by ghosts, life after death in general, and other supernatural things, scary things. Halloween is my favorite holiday because of all the superstition and legend that goes with it. There’s something about being scared that’s attractive, which may explain why I really love skydiving. JB: What was it like having Lela in your head? NW: Weird. Lela has a very specific set of symptoms, history, and probable reactions to certain stimuli that are the complete opposite of my own. Writing her in the context of her own plotline was difficult, but it got easier after a while because she’s predictable in a way. What got to be strange was when I’d be living my own life, wondering what she’d do in situations. I went to the grocery store once, and there was this obviously high woman gamboling around the aisles. To me, the normal reaction is to stay out of her way in case she pulled a weapon; for Lela, her reaction is to stand and stare at the woman, debating whether she might be an assassin and whether Lela should take her out as a precaution. JB: Who is your favorite character in the story? Mine has got to be Lela! NW: Heh! I really like Lela because she’s the hero of her own story, and I think that’s typical even for sane people. That said, my favorite character changes week to week. This week it’s The Chin. He’s so simple, which makes him really pure and innocent. He doesn’t have it in him to lie or beat around the bush. Everything about him is all up front. Because of that, he can get his heart easily crushed. The Chin reminds me of the way we all were as pre-teens before we learned that we have to guard ourselves so closely. In a lot of ways he’s the exact opposite of Lela. JB: What was the most difficult thing about writing The Trajectory of Dreams? NW: Writing Lela’s reaction to things at first was difficult. Even though I had her entire personality and tendencies mapped out before I started writing, it takes a while to know someone. Lela’s also in her head a lot, so trying to get a good balance of internal and external wasn’t the easiest thing ever. JB: Who has influenced your writing the most? NW: I admire Kurt Vonnegut. Writing comedically while still maintaining a serious plot is something I aspire to—it’s so hard to pull off successfully. Plus, his plots are so intricate. I also really love Tom Robbins. My own writing is nothing like either of theirs, but hopefully one day I’ll approach that level of skill. NW: I’m a competitive dragon boater on a women’s club crew. It’s a fantastic way to get out of my head and enjoy being outside (plus, I like to win things, so it works out well). I also love to knit and spin yarn, skydive, bake and cook, and garden. Like most writers, I read a lot, too. One day someone will invent a way for me to combine at least three of those things at once so I can multi-task…maybe dragon boating, writing, and knitting. JB: Which book or books are you currently reading? NW: I just started Zadie Smith’s White Teeth, and I’ve got John Dies at the End by David Wong sitting on the end table. 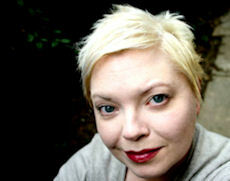 JB: You also moderate “5 Minute Fiction,” a weekly flash fiction challenge. Can you tell us about that? Would you consider writing a novel using flash fiction? NW: 5 Minute Fiction is this very awesome timed writing exercise. Every Tuesday night at 8:30p EST, a bunch of writers converge on my website to get the prompt du jour. Participants have 15 minutes to write, edit, and submit an entry (ostensibly, the idea is that you spend five minutes writing). A guest judge picks his or her five favorite entries, which go up for public voting, and in 24-hours an overall winner is chosen. Leah Petersen started the challenge about three years ago. I inherited the challenge a year ago, and now I’m passing it on (beginning March 1) to Wendy Strain. It’s a great tradition, and I’m going to miss hosting. Of course, it’s a big time commitment, so I’m happy to see another writer take good care of it. As to whether I would write a novel using flash fiction…I’ve had some ideas during flash fiction writing that might make a good novel if expanded. Several of my flash fiction pieces have been published in literary journals. JB: What do you hope readers take with them after reading The Trajectory of Dreams? NW: You can never really know your friends, acquaintances, and neighbors. That sounds a bit suspicious and fatalistic, but everyone has a secret—whether it’s as dangerous as the secret Lela is hiding, well . . . I also think the mental illness aspect to the story is critical. People are talking about mental illness a lot right now, especially in conjunction with gun control. It’s important to make access to mental healthcare easier and to decrease the stigma of having a disorder. There’s nothing shameful about it. JB: Are you working on anything new? NW: I’m primarily a young adult writer. Right now I’m working on a novel about two people who come very close to drowning and a freak show. That sounds very strange, but it makes sense in context. I’m a big fan of freakery as a critique of the normative. JB: Thank you, Nicole, for a wonderful interview! Good luck with the book. I need to add Packing for Mars to my TBR list! Great interview. I have never heard of this book but it sounds fascinating from what Nicole has to say. Thank you. The book is definitely a psychological thriller. I think you’d like it.